Home design mirrors the world around us and the phenomena of global warming, fossil fuel depletion and natural resource scarcity have created a revolution in architectural concepts and design. This, in an attempt to minimise the impact on the environment and ideally, to create a symbiosis between mankind and the environment. 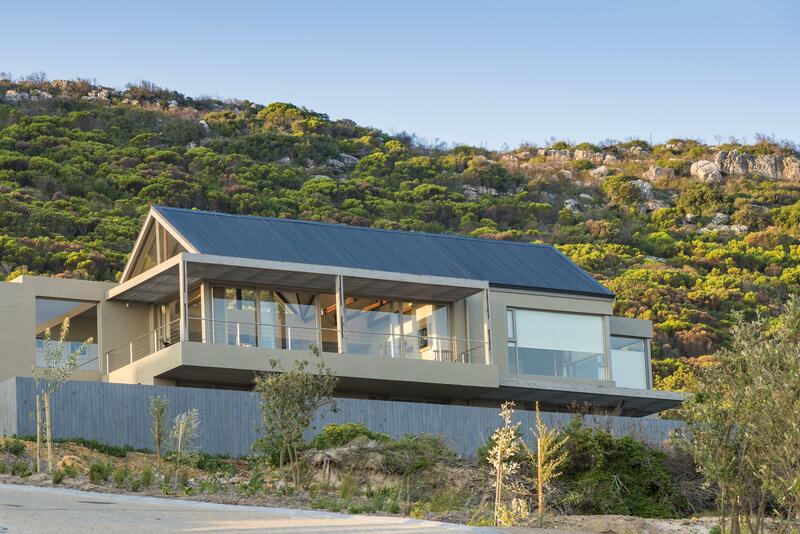 CEO of Greeff Christie’s International Real Estate Mike Greeff says, “Environmentally conscious homes are a crucial element in the way homes should be built for the future and being environmentally aware has never been more important than now. Eco-friendly homes make efficient use of water which is an increasingly limited resource. With methods involving collection of grey water for reuse in non-drinking areas of the home, harvesting rainwater to use as irrigation and installing efficient fixtures such as low-flow shower heads and dual-flush toilets, homes can drastically reduce their water consumption. Currently, the City of Cape Town has promulgated that all new housing developments must utilise water efficient fixtures as well as being as energy efficient as possible. Solar energy is a clean and renewable source of energy. Solar panels are the ideal solution for people who want to utilise the natural power of the sun. Solar panels may seem expensive at first, but the long-term savings are worth it. The return on investment over the lifetime of your home greatly outweighs the initial cash outlay. The location of your house and the way you have positioned your solar panels can determine how much power you can collect. By taking advantage of solar power you can bring down your energy consumption immediately and drastically. The same can be said for the installation of solar-powered geysers and LED lighting. You’ve heard it before, but you can lose up to 25% of your heat through drafts. Installing proper insulation is ideal for home renovations and new home builds. A quick fix to reduce drafts is to add thick curtains to your windows and draft stoppers to your doors. Your curtains should be heavy and extend well beyond the window frame. Keep them open during the day to allow the warmth in before closing them up at night to keep the cold out. Greening your home with plants. The addition or use of plants inside your living space has a number of benefits. Plants take in carbon dioxide and return oxygen to the air instead. They also absorb toxic chemicals and release harmless by-products, as well as soaking up heavy metals deep into the plant tissues–away from you. Choose plants that are indoor friendly and easy to maintain. The difference in air quality is almost immediate and will help minimise the need for expensive and high-maintenance air filtration systems. “With the environment around us constantly changing, it’s important to be environmentally aware and active. It’s even more important when you consider how much money you can save by building an eco-friendly home. The methods and ways you can go about changing your home from a carbon-producing unit to a lean, green machine are easier to implement than what it may seem at first,” Greeff concluded.